Welcome back to part 2 of the Glitz & Glitter Spotlight! This is another list of blogs I am loving at the moment and I truly think you should support these bloggers! I have a few more installments coming after this, so be ready for more amazing blogs! Maud is the lovely owner and creator of My Passion Projects, a blog where you can find so many resources on writing, self-help, exploration, and personal development. The layout of My Passion Projects is so clean and feminine, which is something I love! Maud has really put so much heart into My Passion Projects and I know you are going to love it as much as I do. There are also freebies and tips, so you have no reason to not check out Maud’s site! The link is in the blog title! (*wink*) Two of my favorites on MPP are the Starters Guide To Living Healthy and 10 Highly Inspirational TED Talks. Melina, what a darling! Her blog I’ve Found Waldo is so chic and I love all of the bullet journal posts she has. I really admire people who keep bullet journals because that stuff takes commitment. Melina is an overall fun person and I love her social media feeds. Two of my favorite posts on I’ve Found Waldo are 2018 Bullet Journal Set Up and 2018 Skincare Routine . Sofia’s blog Born To Be Bright is everything I love in the blogging world. Her site layout, the themes, and the vibes from BTBB are stellar and I love how you can see all the though she puts into her blog. I also really like supporting bloggers who have been around for a bit and Sofia started blogging back in 2013. One of my faves on Born To Be Bright is Stay Moisturized This Winter because heavens know I need it! Zahra’s blog Soulful Seeds is a great site for how to live a great life and grow spiritually. From forming healthy relationships with food to killing 5 bad morning habits, Soulful Seeds has many resources to help you along in your spiritual journey. Zahra’s site is so chill and gorgeous and she is so welcoming. Check out Zahra on Twiter and Pinterest for even more inspo! So I know what you are thinking: “Mimi, what’s Beauty Folio?” Well, since you asked, Beauty Folio is the gorgeous creation from Emma, natural beauty lover. Her blog is beautiful and I love her posts on Glossier, beauty boxes, and product reviews. 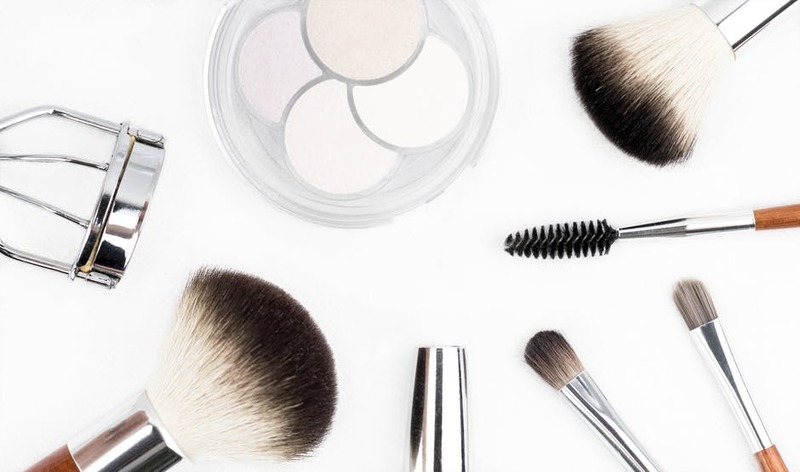 I always love reading about natural beauty products or ethically made products because if there are good products to replace some of the brands I currently use, I am all for it. Make sure to connect with Emma on her Twitter and gorgeous Instagram feed! I love book bloggers and YouTubers because they have such a fun blogging category. They can get lost in a book and then have an outlet where they can tell everyone their thoughts. Plus by reading a book blog post on a book that I may want to read, I can get a better insight on the book itself and determine if I still want to read it or not. Raylynn at The Thrifting Ginger does just that and her blog is so enjoyable to read. I particularly love her post on Dancing for Degas. She also loves thrifting (if you couldn’t tell by the title!). Animals, books, mental health, and home…sounds like a great blog, right? The answer is yes, yes it is. Homebird Hang-Ups is a blog that has all of that and more in one place. Claire is a great person and I love seeing her journey through blogging. Two of my favorite posts on Homebird Hang-Ups are You OK Hun and St. Lucia Likes, Loves, and Loathes. You can also find Claire on Instagram (trust me, you’ll want to follow her feed!)! That’s all of the blogs and bloggers mentioned in this part of the Glitz and Glitter Spotlight! The third part will be out soon and I can’t wait for you to see the other blogs! I hope you all have a great week and a fabulous weekend! This is SO sweet, I really appreciate your kind words about my blog, it means so so much!! I can’t wait to read all these other blogs as well, they all sound awesome! Keep up the superb work, darling!!! I’m so happy if this helps out your traffic and outreach!